JDM STI Version 4-6 GC8 Impreza intercooler air spliter. Fits all 93-01 Impreza with RS or JDM STI hoods. IHI VF22 turbo bolt on for all 02-07 WRX or STI. 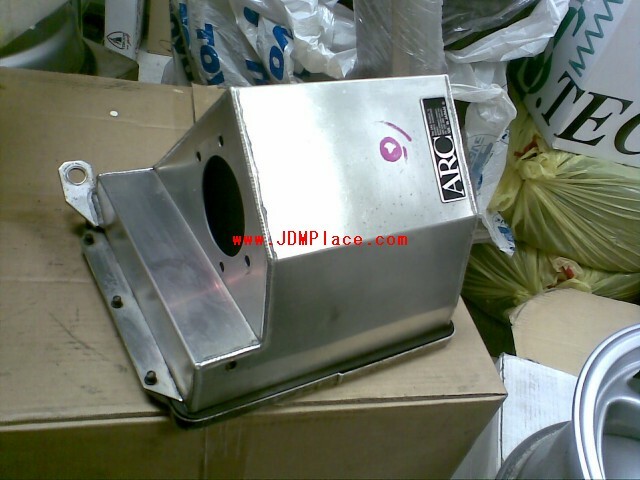 JDM ARC air induction box with filter for Subaru turbo EJ series motors, off from a GC8 Version 4 STI.